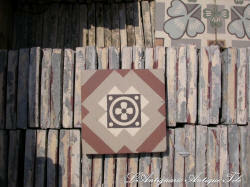 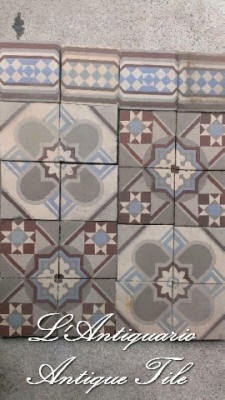 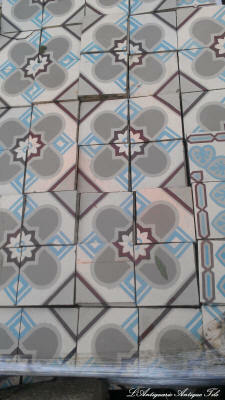 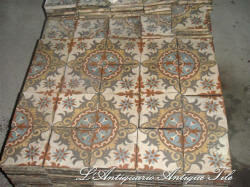 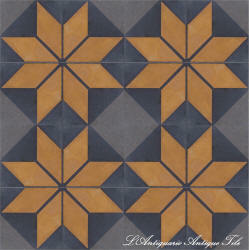 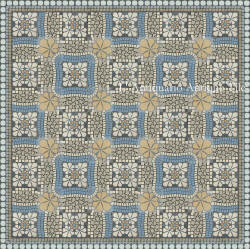 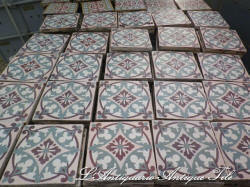 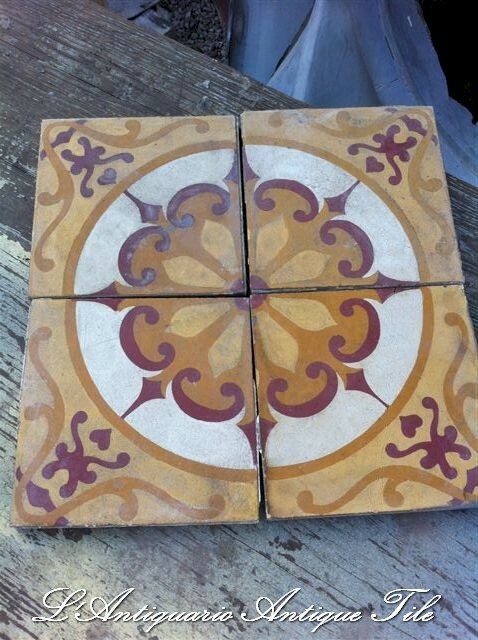 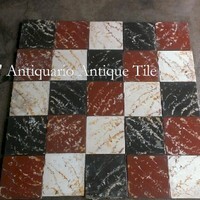 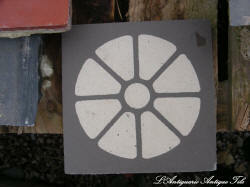 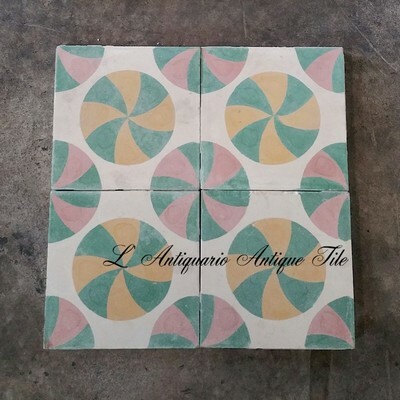 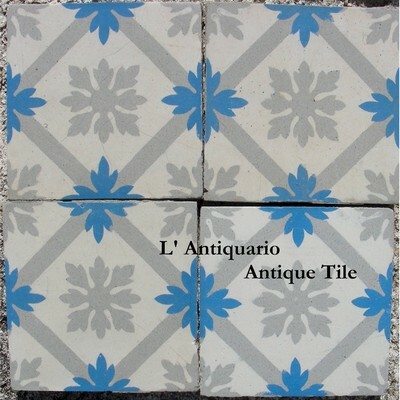 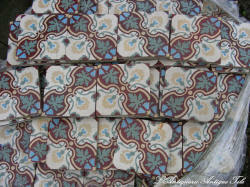 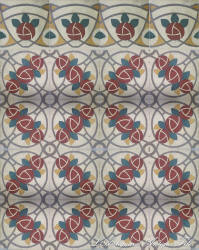 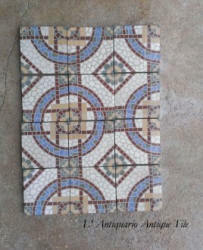 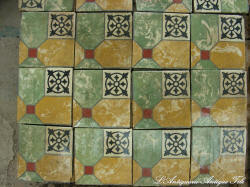 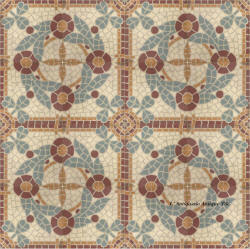 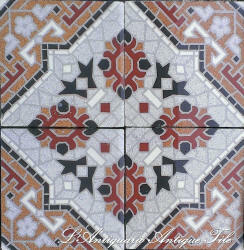 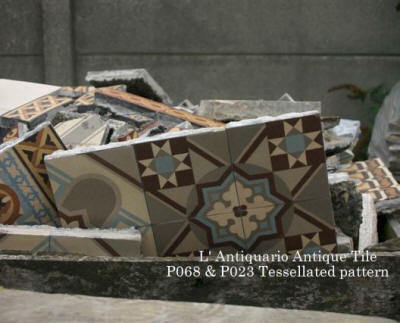 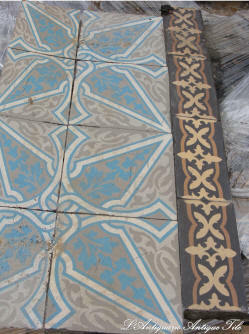 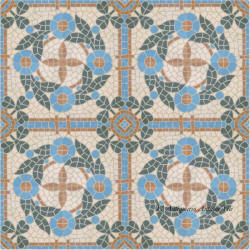 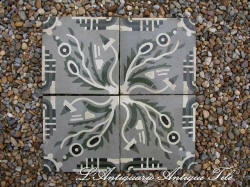 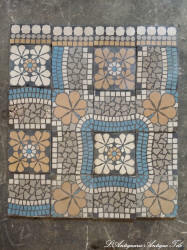 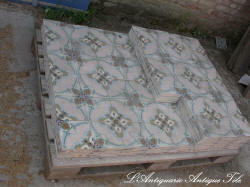 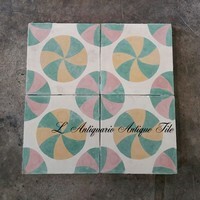 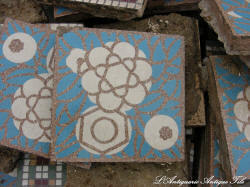 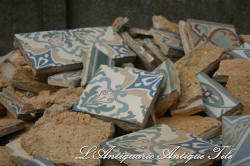 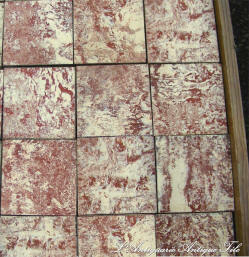 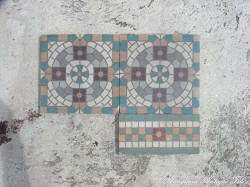 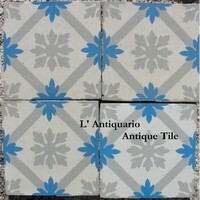 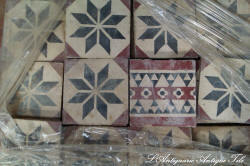 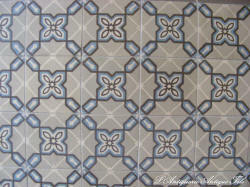 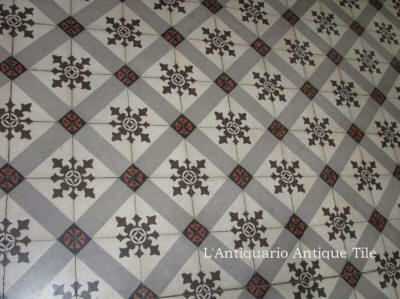 This is a pattern of 16 Tiles, 8 inch Antique Encaustic Tiles, Circa 1900, 170 SF available. 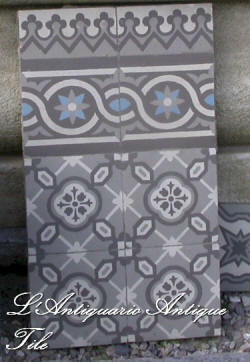 Here you see a P020.3 Gray, with a double border B089 Gray & a small border. 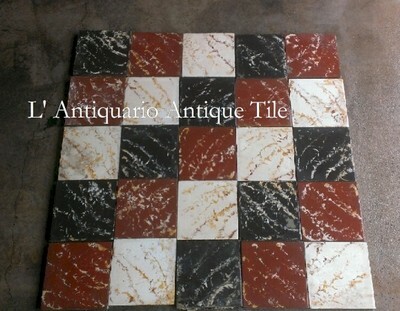 Over 5,900 SF of this tile available.